The Pitta Blend cools and calms a heated mind or nervous system. It is an effective floral relaxant and simultaneously promotes uplifting moods. 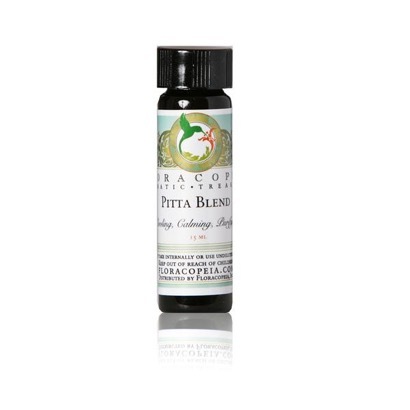 The Pitta Essential Oil Blend is deeply cooling, calming and purifying. It soothes hot emotions of anger and reduces harsh and judgmental thinking. It is the perfect oil for those with tendencies towards irritability, anger or an uptight personality. With regular use, the workaholic will gain great benefit from the cool, calming effects of the Pitta Blend. It is a nice oil for children and will support pleasant moods and greater attention span. Aromatically, the Pitta Blend is pleasantly floral, sweet, and slightly herbaceous. The Pitta Blend is safe to use for direct palm inhalation anytime you're feeling physically or mentally heated or overdriven. Use regularly throughout the hot summer days and diffuse in your household to create a cooling, calming aromatic atmosphere. Place a drop or two on your dashboard for a relaxed driving experience, especially on your morning commute. In a massage oil the Pitta blend will soothe irritated skin, inflamed muscles and nerves. Add several drops to your abhyanga oil (daily massage oil) throughout the hot months of the year. Pitta Essential Oil Blend Ingredients: The pure essential oils of Lavender, Kashmir (Lavendula augustifolia), Rose-Geranium (Pelargonium graveolens), and Ruh Khus (Vetiveria zizaniodes). Floracopeia was established to help preserve and promote the use of botanical medicines as solutions to the widespread ecological destruction taking place in the world, and the loss of medicinal plants on which traditional medical systems depend. 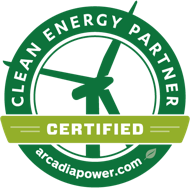 We provide our customers with the highest quality essential oils and other botanical aromatic treasures through the promotion of ecological sustainability, organic agriculture, and agro-forestry projects. Our products are acclaimed for their therapeutic-grade, high quality at affordable prices. We provide artisanal quality oils produced by small family-based distillers. We buy directly from farmers and distillers, thus supporting the local economies in which the plants are grown. We do not buy oils from the world-brokers. Floracopeia is founded with a strong medical orientation and is involved in a number of global eco-projects based in grass roots health care, spirituality, reforestation projects, and the preservation and restoration of ethno-botanical culture.